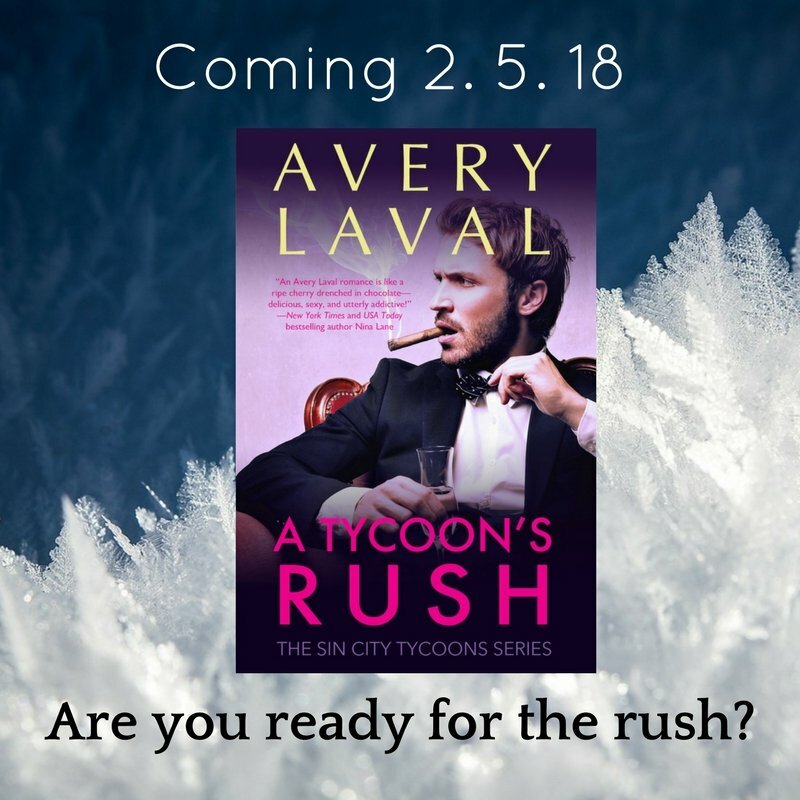 This week we’re thrilled to announce the release of Avery Laval’s A TYCOON’S RUSH, the second book in the Sin City Tycoons series. A TYCOON’S RUSH is available in eBook formats on February 5, 2018. She heads to the Italian mountains to bring an Olympic hero back home. But will she lose her heart instead? Natalie Schaffer has accepted that she’ll never make it above the rank of sports agent assistant. That’s okay with her—her dream is her outdoor photography, not the wheeling and dealing of agency life. But she jumps at the chance to take an endorsement deal to the reclusive Olympic champion Charlie Ahlers, who stepped off the gold medal podium and disappeared from public eye. Natalie never crushed on her agency’s clients, but Charlie held a special place in her heart—from a distance, of course. Charlie Ahlers is perfectly happy hiding out as a nobody in sleepy European ski towns and avoiding his sports agent. He knows he’s supposed to capitalize on his Olympic victory and train for the next Games. But, for reasons that are his own, his heart isn’t in it. When the hottie American girl in the pixie cut prances into his bar and slaps a contract down next to his glass of scotch, he can’t believe she’s an agency rep.
Want to see how the series began? Check out A TYCOON’S JEWEL, available in print and eBook. (AND it’s only 99 cents this week to celebrate this cover reveal!) Look for A TYCOON’S RUSH on February 5, 2018. Don’t miss Avery Laval’s latest interview, where she talks with the Tall Poppies about writing romance, fictional births, her mysterious persona, and more.